No Angle Cuts! 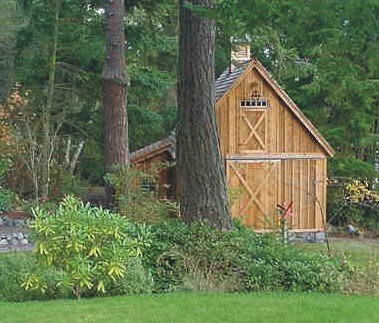 You don’t have to be an expert carpenter to put together a well-built shed. 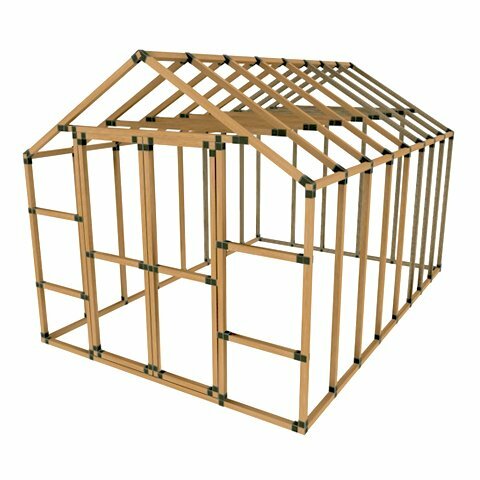 Only straight, 90 degree cuts are required � no miters or complex measurements are needed to build your own shed with our patented connectors. 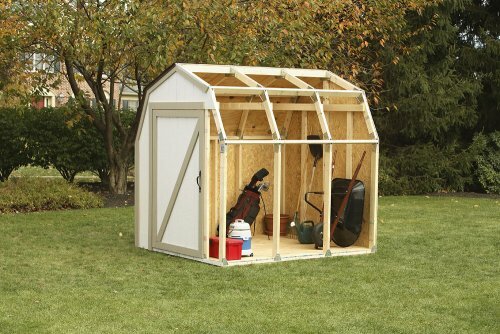 You determine the size… Purchase one, two, or three kits to make your shed up to 10 foot wide and 22 foot long (3048 mm x 6706 mm). We provide instructions for 7 x 8 foot (2134 mm x 2438 mm), 8 x 14 foot (2438 mm x 4267 mm) and 10 x 22 foot (3048 mm x 6706 mm). 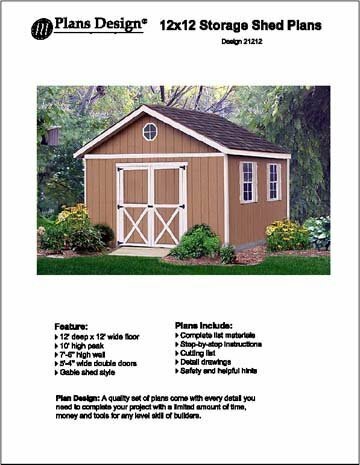 Easy plans are included: Materials lists, cut lists, and detailed instructions with step-by-step images are provided so that even beginning do-it-yourselfers can build a professional-looking shed. 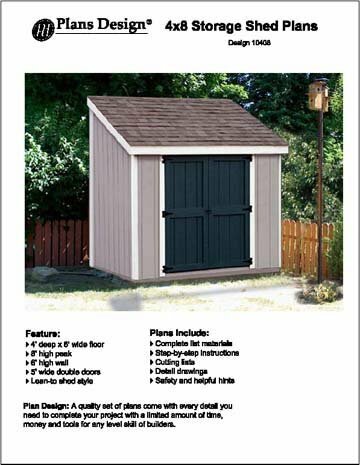 Our 2x4basics Shed Kit is cost effective and can save you 50% or more over other pre-built and knocked-down shed options. You supply the labor for this weekend project. 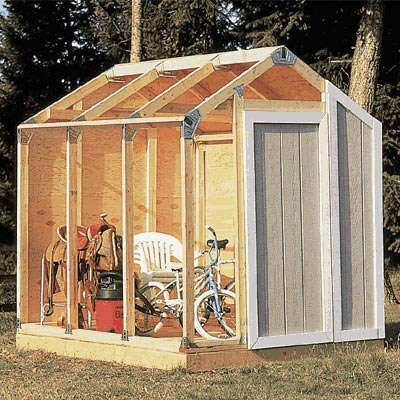 Our galvanized steel connectors are designed for use with sturdy 2×4 (38 mm x 89 mm) framing, making your completed shed built to withstand the elements. You choose the roofing, siding, and flooring materials to suit your taste and budget. Check your local building codes for additional requirements or restrictions.